Taking a unique, conversational tone throughout, God's Front Door uses dialogues and speech to cover big topics and thoughts. "I glanced across the aisle and jumped. He was sitting in the seat opposite me. I noticed He had His seat belt on. "That's funny," I said, "You've got Your seat belt fastened." "It's good to obey the rules," He said. "I hate flying." I said. "Better than riding a donkey," He remarked. "And safer!" "We're so high up," I said looking apprehensively out of the window. "You're nearer The Front Door up here," He responded cheerfully. Then I was really nervous! "Lord, it's not that I don't want to live with You forever, it's just. . . just. . . " He didn't help me out. "It's just -- I wasn't expecting it to be today," I finished lamely. He laughed again and the plane gave a lurch and a bump and another bump and I reached across the aisle and caught hold of His hand. "This is fun," He said cheerfully. "So much better than a donkey."" C. S. Lewis once described Christians as being "outside of the world, the wrong side of the door." But as long as we are here on earth, we need only knock on God's front door to speak with Him. In this beautiful book, Jill Briscoe writes several short dialogues with the Father as she sees His hand at work in the diverse circumstances of life. She covers everything from the big problems--war, separation from family, and the divorce and remarriage of a child--to the more every day problems--interruptions in one's hectic schedule and disappointments with people. "God's Front Door" is a very human book and Jill speaks openly and honestly about her fears and failings. Jill Briscoe, international speaker deals honestly with sensitive issues as she approaches the God she serves in prayer. An excellent gift for women who pray about life's problems and joys. 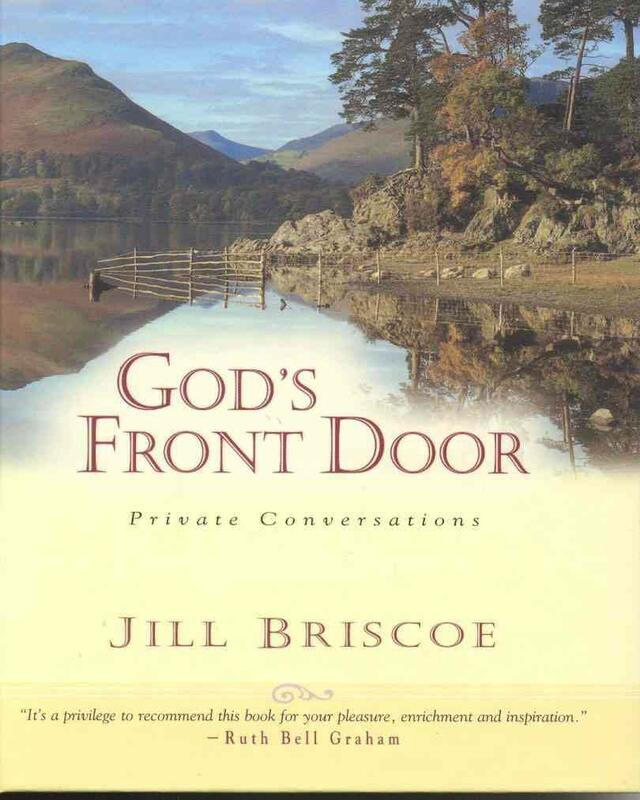 God's Front Door by Jill Briscoe was published by Monarch Books in February 2004 and is our 14274th best seller. The ISBN for God's Front Door is 9781854246417. Be the first to review God's Front Door! Got a question? No problem! Just click here to ask us about God's Front Door.